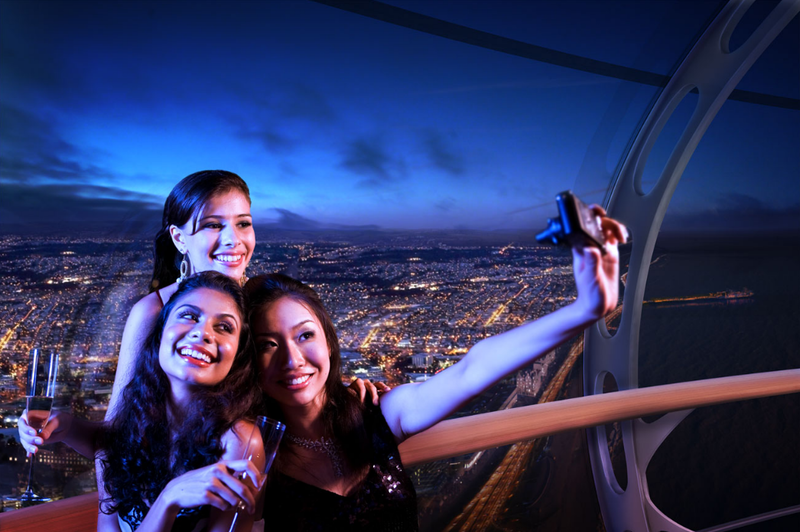 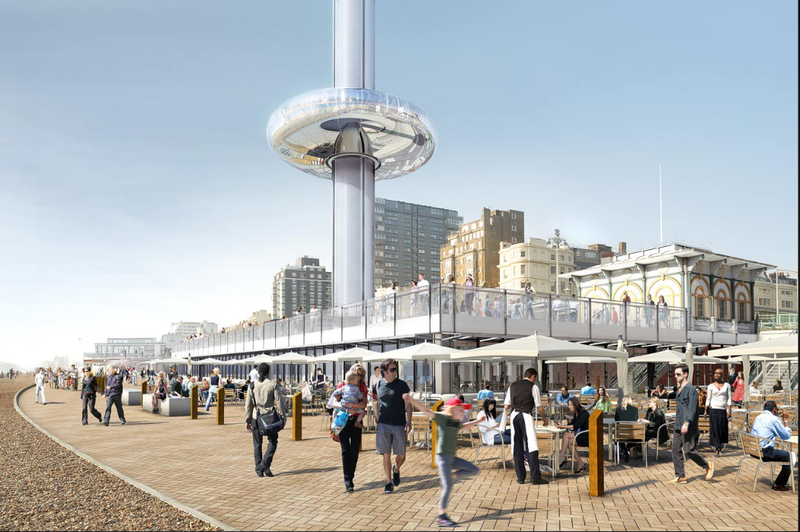 The husband-and-wife team behind the London Eye observation wheel plans to one-up themselves with an observation tower in Brighton, UK that’s about 100 feet taller. 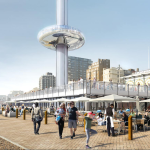 For the seaside town, David Marks and Julia Barfield of Marks Barfield Architects have created Brighton i360, a 531-foot-tall, futuristic-structure that lifts visitors up high above the English Channel. 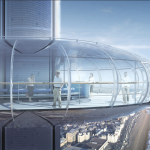 The project—currently under construction and described as the first “vertical cable car”—is defined by its glass “observation pod” that rises up a main tower and accommodates up to 200 people. 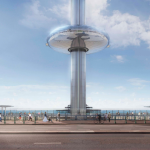 “We wanted to create a similar sort of visitor experience with a view that slowly unfolds as you gradually ascend, but with an enhanced more spacious pod enabling guests to walk around to enjoy the 360 degree views,” David Marks said in a statement on his firm’s website. 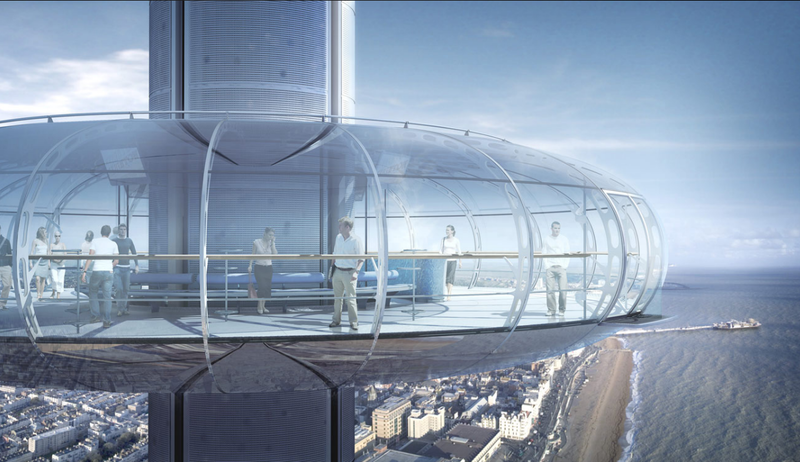 That glass pod also serves as a pretty slick party space as it is decked out with a sound and entertainment systems and a bar. At the base of the tower is a one-story glass podium and patio that includes a café, shops, restrooms, and an exhibition space for local artists. 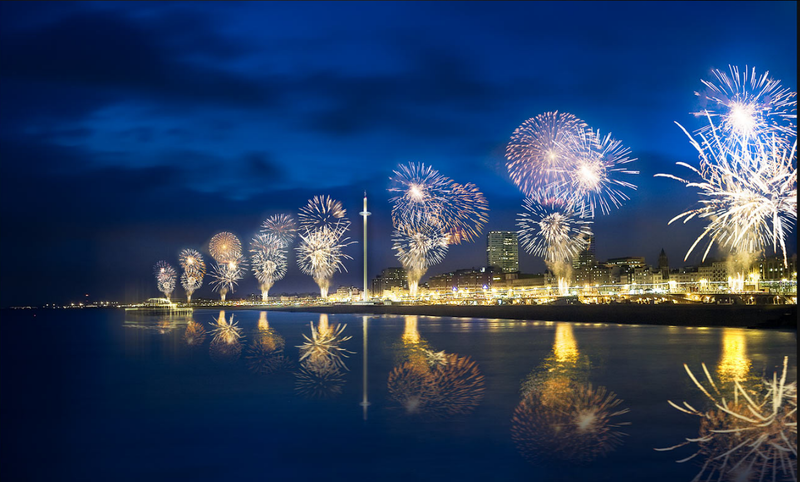 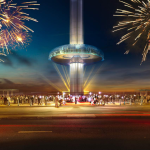 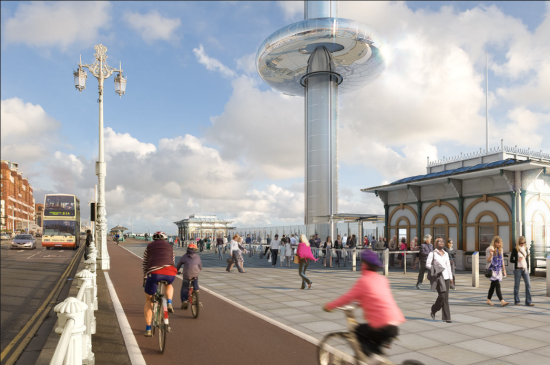 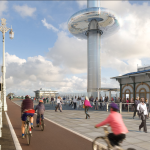 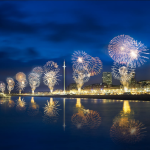 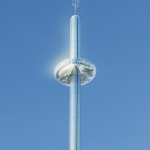 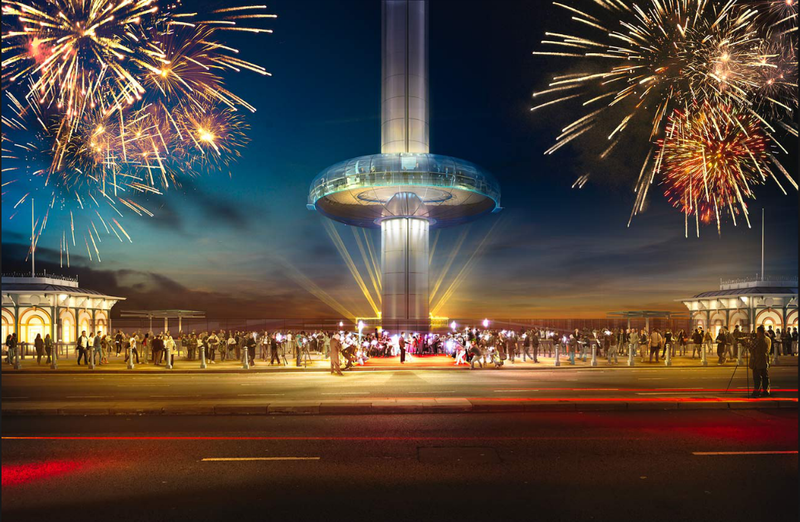 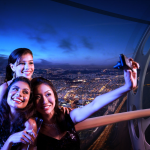 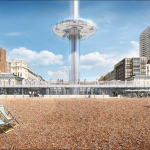 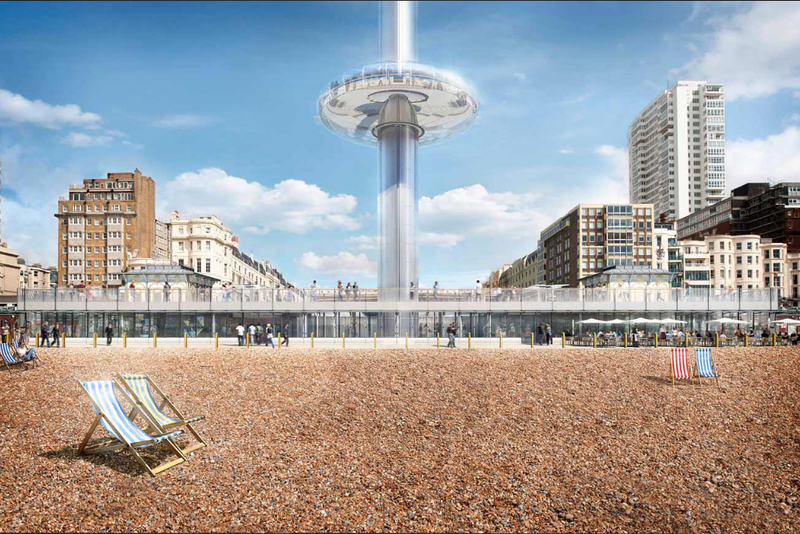 Brighton i360 is expected to open in 2016 and attract 7,000,000 visitors a year.